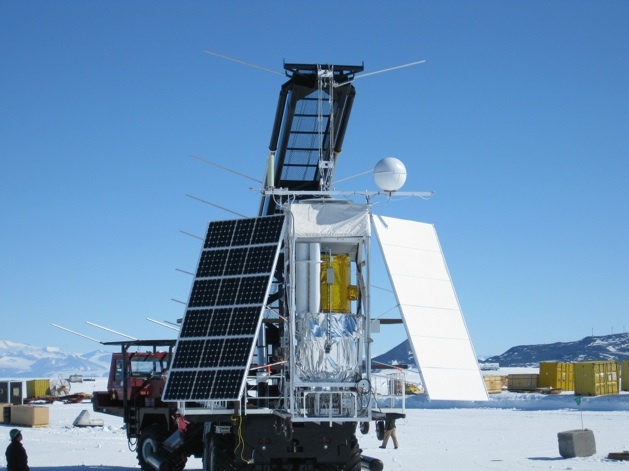 The Stratospheric Terahertz Observatory (STO) is a NASA-funded long duration balloon (LDB) experiment designed to address a key problem in modern astrophysics: understanding the life cycle of star-forming molecular clouds in our Milky Way Galaxy. To accomplish this goal, STO will survey a section of the Galactic Plane in the luminous interstellar cooling line at 158 microns (1.90 THz) and the important star-formation and ionized gas tracer at 205 microns (1.45 THz). The 4-pixel heterodyne receiver arrays on board STO possess the sensitivity and spectral resolution needed to see molecular clouds in the process of formation, measure the rate of evaporation of molecular clouds and separate the bulk motion of gas in our Galaxy from local kinematic effects. STO's 0.8m telescope provides ~1' spatial resolution, providing more than two orders of magnitude improvement in spatial resolution over existing data. By building a three-dimensional picture of the interstellar medium of the Galaxy, STO will be able to study the creation and disruption of star-forming clouds in the Galaxy, determine the parameters that govern the star formation rate, and provide a template for star formation and stellar/interstellar feedback in other galaxies. 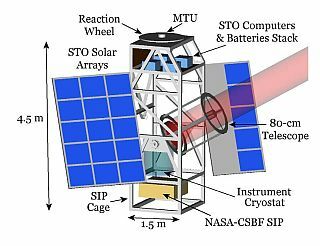 STO is conformed by a telescope, eight heterodyne receivers (four for each line to be observed) , an eight-channel Fieldable Fourier Transform Spectrometer System , control electronics , an hybrid He cryostat, and a precision gondola. At left can be seen a scheme of the STO in full configuration. 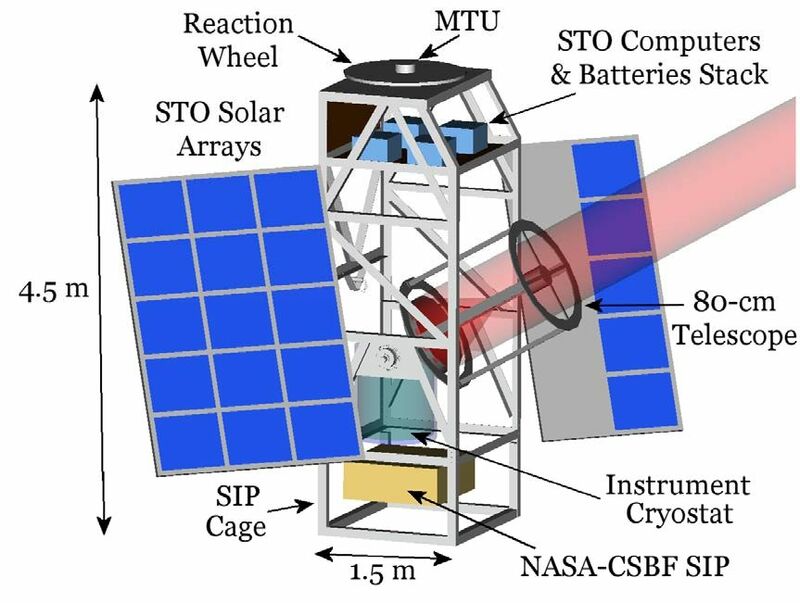 STO uses the same telescope that Johns Hopkins University Applied Physics Laboratory has previously employed for its successful Flare Genesis Experiment (FGE). The primary mirror is an 80-cm diameter, f/1.5 hyperboloid made of Ultra Low Expansion titanium silicate glass (ULE), and honeycombed to a weight of just 50 kg. Its surface is polished to visible-band optical quality, therefore over-specified for imaging in the 100 to 200 micron wavelength range. Its support and spider arms are made of light weight graphite-epoxy, which provides high thermal stability over a wide range of temperatures. A tertiary chopper is located near the backside of the main mirror on a counterbalanced mount to minimize reaction forces. A calibration box located between the telescope and the receiver cryostat places blackbody loads at known temperatures in the path of the detectors for comparison, allowing to determine the detector noise, the telescope efficiency, the opacity of the atmosphere and the absolute flux of astronomical sources. The receivers are fed by the beam entering the telescope which first encounters a free-standing wire grid that divides the incident light into horizontal and vertical polarization components. One polarization passes through the grid into the first vacuum window while the other reflects off a 45º mirror and enters a second vacuum window. The vacuum windows and subsequent 77, 25, and 4K IR filters are made from low-loss, AR coated, single crystal quartz. The first flight receiver will consist of two, orthogonally polarized 1x4 arrays of superconductive hot-electron bolometer (HEB) mixers operating at 4º Kelvin. One array optimized for the 1.90 THz line and the other for the 1.46 THz line. The mixers will be pumped by two, frequency tunable, solid-state Local Oscillators (LO's). A flight instrument electronics box houses several boards that control the spectrometer, the LO/HEB/LNA bias board, the calibration flip mirror, and the instrument computer. To cool the mixer arrays, STO uses a 200 liter liquid helium cryostat. An off-the-shelf mechanical refrigerator cools the first radiation shield to 77K while the second one will be vapor-cooled to 25K. 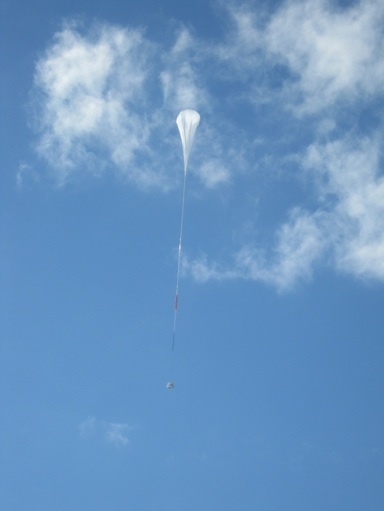 STO will rely entirely on the NASA-CSBF provided remote link to/from the gondola for the communications between the experiment and the ground. 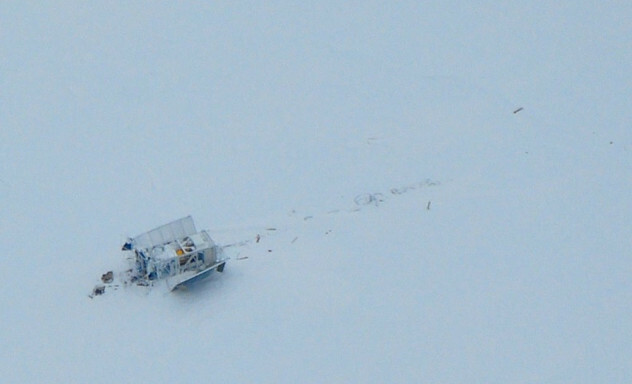 For the long duration balloon mission in Antarctica that will be acomplished through the NASA's Tracking and Data Relay Satellite System (TDRSS) while in the moment that the balloon traverses a zone where none of the TDRSS satellites are in view, a backup link using the Iridium satellite system will be available. 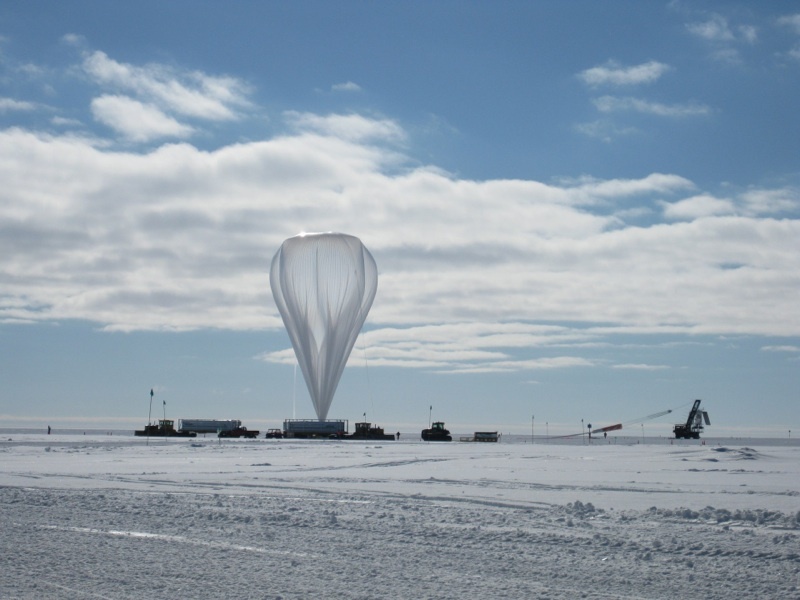 As occurred with the telesciçope, the gondola is inherited from the APL which developed it in the framework in the Flare Genesis and Solar Bolometric Imager balloon programs, that performed two test flights in New Mexico and three long duration balloon Antarctic flights. The structure carries and protects the telescope and instrument, the command and control systems, and the power system. Its basic dimensions (without solar arrays) are: 2m wide, 1.5m deep, and 4.5m high. The frame is made of standard aluminum angles bolted together and painted with a white thermal coating. The structure is strong enough to support up to 2000 kg even under the 10 g shock experienced at the end of the flight when the parachute inflates. It is rigid enough to allow the required telescope pointing stability. The gondola can be separated into lighter components for easy post-flight retrieval in the field. This was the first long duration flight of the instrument. Ascent went normal but before achieving float altitude a frozen absolute pressure regulator vented approximately half of the liquid helium supply to the atmosphere. This event reduced the cryogenic (THz) portion of the mission to ~ 5 days. The efficacy of the observations conducted during this period was hindered by several technical issues experienced early in the flight. The causes of these issues were identified and corrected in flight. 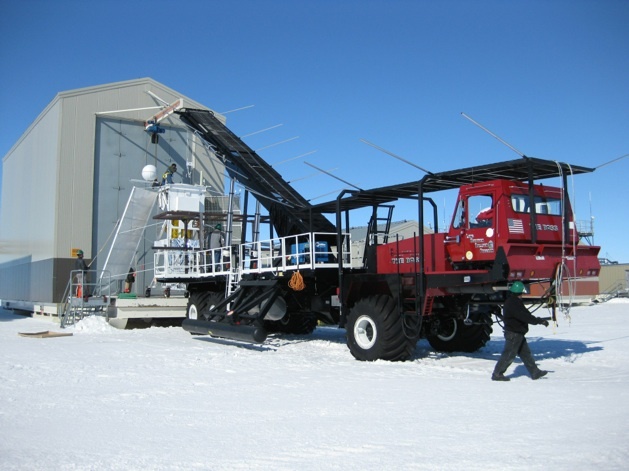 STO then transitioned into its "Warm Mission" science program and continued observations using an uncooled 492 GHz [CI] receiver until the end of its flight on 29 January 2012.